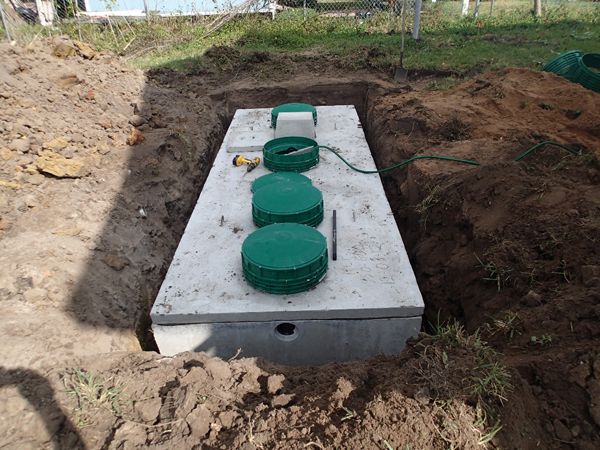 An on-site (septic) system that is properly designed, installed, and maintained poses no threat to groundwater. However, inadequately functioning and/or failing systems can contribute to the contamination of groundwater with nitrates, harmful bacteria, and viruses. When disposed of improperly in an on-site system, trace amounts of metals and hazardous chemicals (from pesticides, solvents, and cleaners) can also contaminate groundwater. To prevent contamination of your drinking water well, the system must be located a safe distance away from your well and the system must be kept in proper working order through routine maintenance. Groundwater Pollution Primer from Virginia Tech explores the environmental impacts of septic systems. EPA's Septic (Onsite/Decentralized) Systems website includes a suite of case studies demonstrating what communities across the country are doing to effectively manage their decentralized wastewater infrastructure and find solutions to meet their own unique wastewater infrastructure needs. National Environmental Services Center's Septic Systems has a host of information on a variety of topics. The Guadalupe-Blanco River Authority (GBRA) has developed public outreach interactive media tools to educate citizens about on-site sewage facilities (i.e., septic systems) and off-site sewage facilities (i.e., wastewater treatment plants). The Texas A&M AgriLife Extension Service's On-Site Sewage Facilities (OSSF) website provides information about onsite wastewater treatment systems (including conventional septic systems and advanced systems), operation and maintenance requirements, and upcoming programs. Texas Commission of Environmental Quality's (TCEQ's) On-Site Sewage Facilities (Septic Systems): Information for Homeowners. 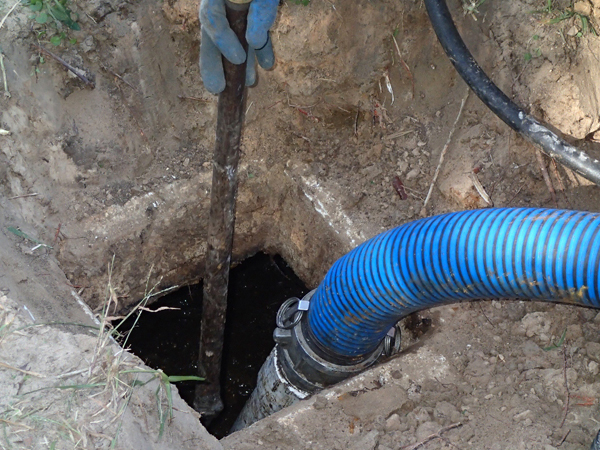 Find licensed site evaluators, inspectors, and installers of septic systems from TCEQ's database. TCEQ's list of authorized agents that can issue permits for septic systems (on-site sewage facilities). The Texas A&M AgriLife Extension Service on-line Bookstore offers a number of publications on septic systems such as "On-Site Wastewater Treatment Systems: Leaching Chambers" (L-5342). Free electronic downloads of these publications (add an "e" in front of the publication number) are also available after setting up an account. National Small Flows Clearinghouse's Pipeline newsletter has an "Alternative Dispersal Options" Edition that explores siting issues. "Reducing Contamination by Improving Household Wastewater Treatment", a Tex*A*Syst publication. Lower Colorado River Authority's "Frequently asked questions about on-site sewage rules". National Environmental Services Center's Septic Systems has a host of information on a variety of topics, including maintenance. 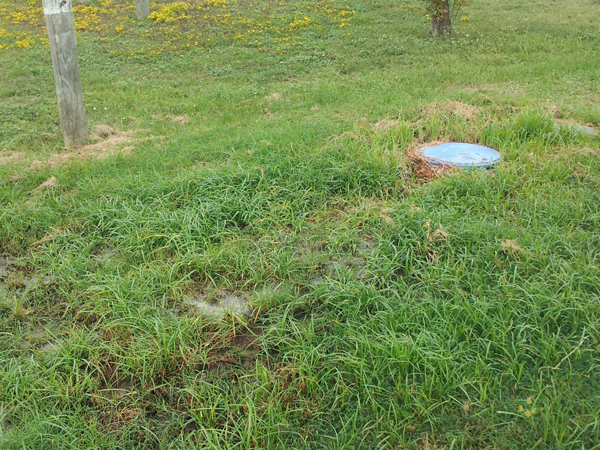 EPA's SepticSmart program encouragies homeowners to take steps to maintain their home septic systems, preventing costly repairs, inconvenienc,e and pollution to local waterways, which poses risks to public health and the environment. The National Decentralized Water Resources Capacity Development Project - NDWRCDP identifies research and development opportunities in the on-site/decentralized wastewater field and then provides funding to support universities, nonprofit organizations, and other qualified public and private agencies and institutions to carry out these projects. 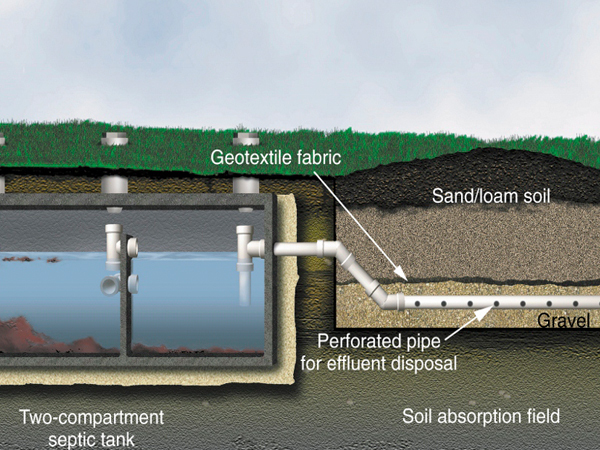 The Texas A&M AgriLife Extension Service on-line Bookstore offers a number of publications on septic systems, also known as on-site sewage facilities (OSSFs) or on-site wastewater treatment systems (e.g., Operation and Maintenance (L-5347), Selecting and Permitting (B-6077), Service Contracts (B-6171), Understanding and Maintaining (L-5491), Graywater (B-6176), etc.). Free electronic downloads of these publications (add an "e" in front of the publication number) are also available after setting up an account.